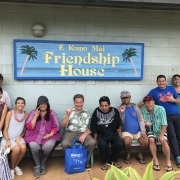 Friendship House is a psychiatric rehabilitation program for about 70 adult Kaua‘i residents with both serious mental illness and a desire to improve their quality of life. The mission of Friendship House is to provide a safe, accepting environment reflective of the Clubhouse Model in which individuals with mental illness are offered empowering opportunities to reach their full potential. 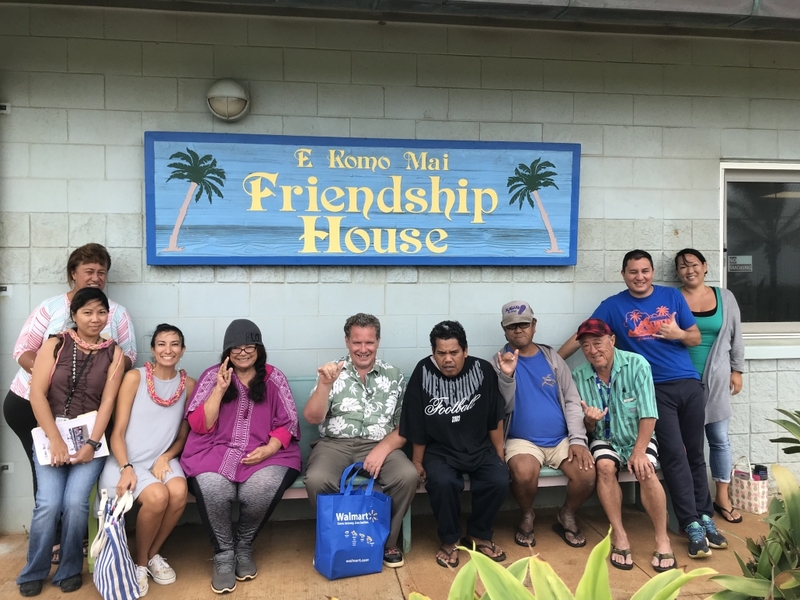 On Thursday, September 13, our Perspectives on Community Health field trip visited Friendship House to learn about the clubhouse, which was the first to open in Hawai‘i, and its members. Here, members come and work side-by-side with staff and share the day-to-day responsibilities of the clubhouse. They can help in the food service area, meal planning and prepping lunch for the day, or they can help with clerical tasks in the office. The clubhouse also offers assistance in education, helping members with G.E.D. and basic education skills programs. Members also have the benefit of participating in vocational services, where they are given the opportunity to work in the Transitional Employment Program. Members work part-time in paid jobs to help them strengthen skills and their self-esteem. Local employers include the Marriott, Safeway, and Kilohana Plantation. Friendship House is celebrating 30 years in the community and continues its open door policy. On our tour, we heard firsthand from members who shared their gratitude that they have this gathering place for social interaction and a safe space to be themselves. Not only do they enjoy the camaraderie that develops among the residents, they also relish sharing their experiences with visitors. Having programs like Friendship House in the community makes such a difference to so many. The members, their families, and community members all benefit from such a supportive and accepting program. Keep an eye out for details on our upcoming Perspectives on Community Health field trips. If you have ideas for a future trip, please contact Stephanie Moir at stephanie@hiphi.org.